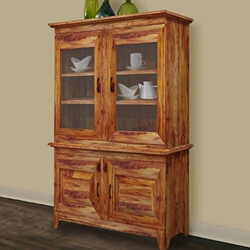 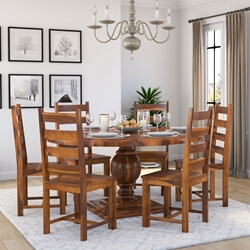 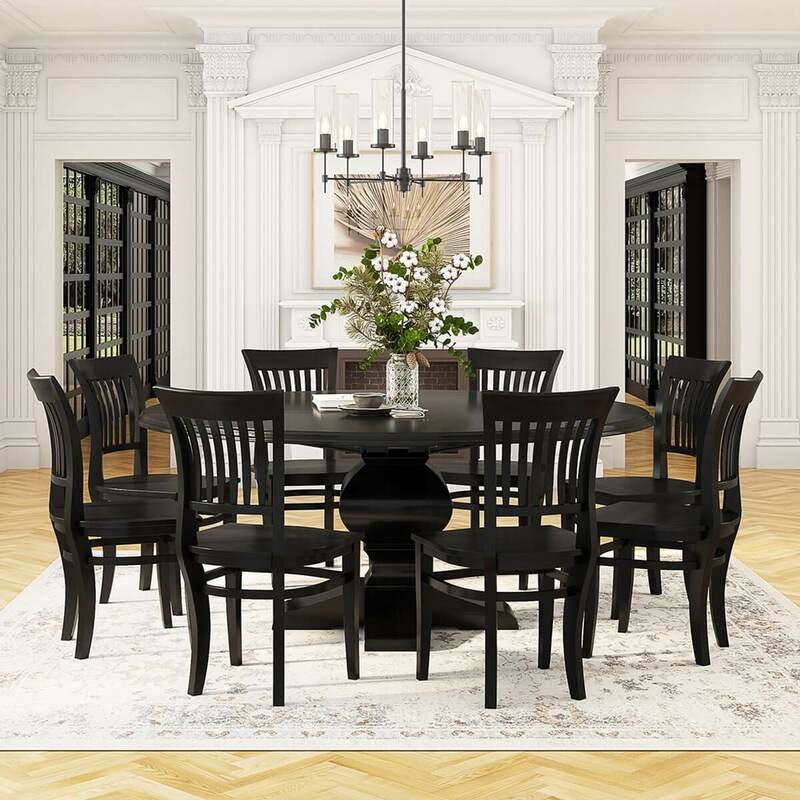 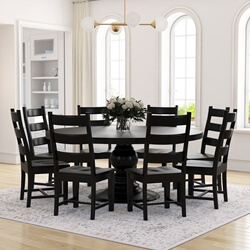 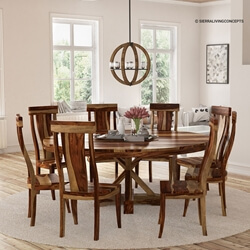 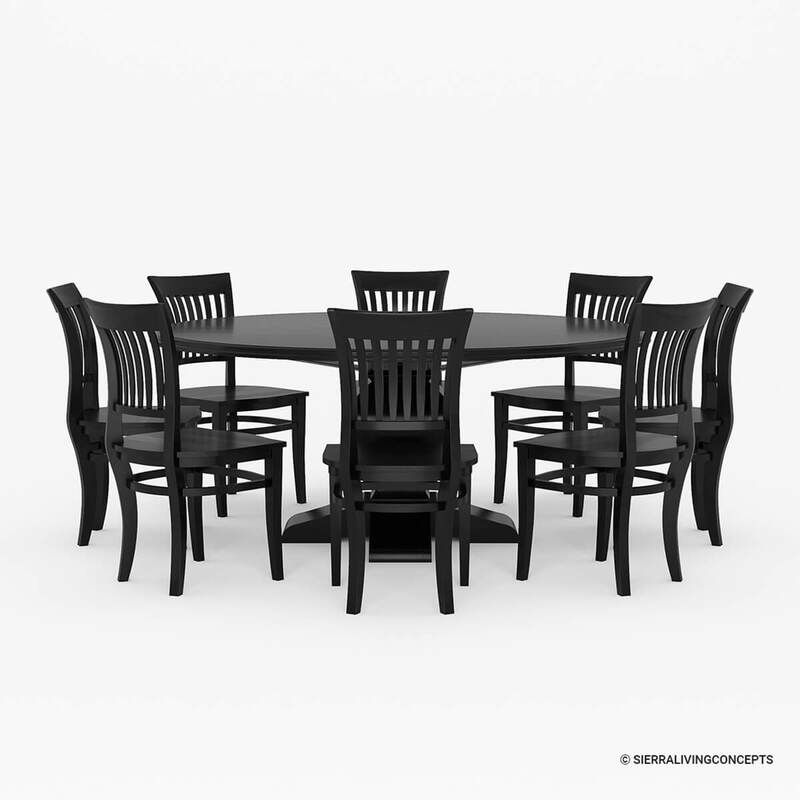 Sierra Nevada Large Round Rustic Solid Wood Dining Table & Chair Set is handmade constructed of Solid Wood, a premium hardwood preferred by many artisans for its strength, density, and unique wood grain. 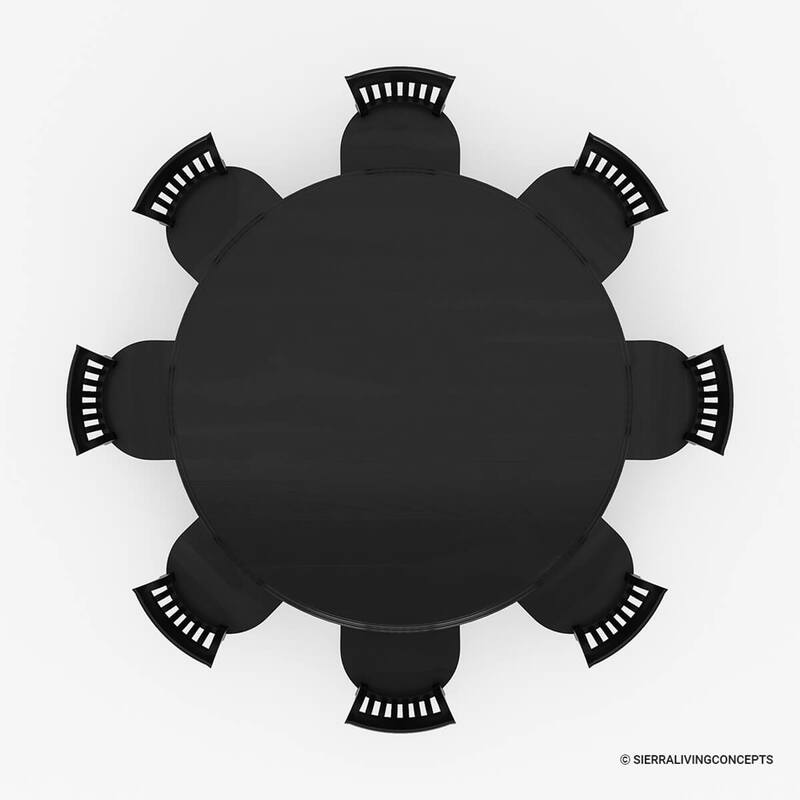 The round dining table top is supported on a contemporary column with four feet. 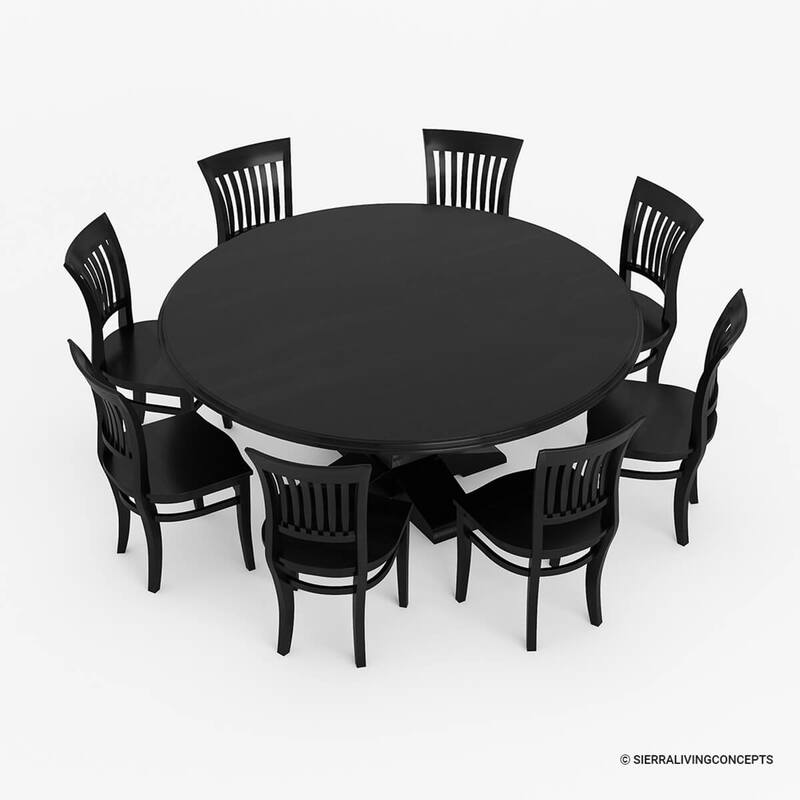 This design gives everybody lots of leg room and stability. 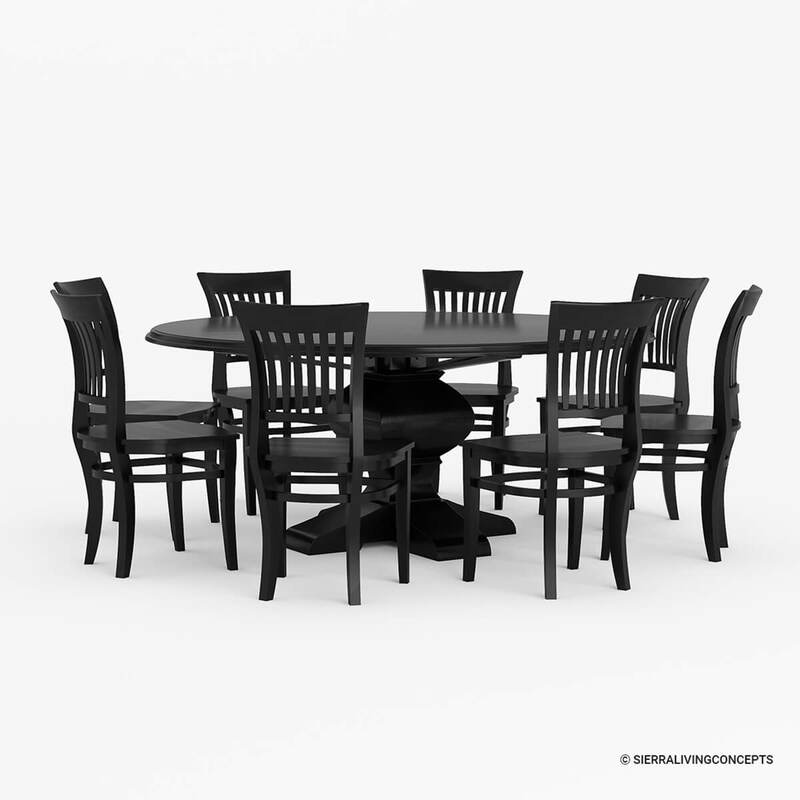 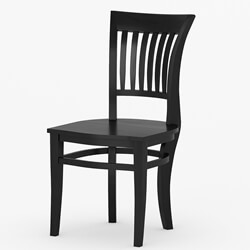 The barrel back chairs are ergonomically crafted with a slight curve in the back and wide seats for extra comfort. 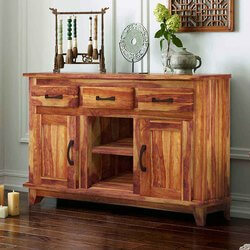 The square stretcher offers extra support.